Start with your friends, family, neighbors, coworkers and others who have had remodeling work done. Talk to local trade associations, such as your area’s local home builders association and Remodelers Council. Ask independent trade contractors, building materials suppliers, architects, engineers, home inspectors, local lenders and insurance professionals for their recommendations. Check with your local or state office of consumer protection and the local Better Business Bureau. Ask if they have had any complaints about the home remodeler. If so, were those complaints resolved satisfactorily? Check with your state’s licensing agency and the state and local building inspectors to see if they have received any complaints about the home remodeler and to verify that the remodeler has the appropriate licenses and registrations. Before you sign a contract, ask the home remodeler to share names, phone numbers and/or email addresses of some customers and take the time to see the home remodeler’s work. Did the home remodeler supply you with paperwork in a timely fashion? How well did the home remodeler deal with the problems that arose? Did the remodeler maintain a neat jobsite, provide regular broom clean-up and haul away debris including personal trash? Did you find the home remodeler easy to work with? Did the home remodeler keep you informed as the job progressed? Did the contractor start and finish on time? Did they surprise you with extra costs you did not expect? 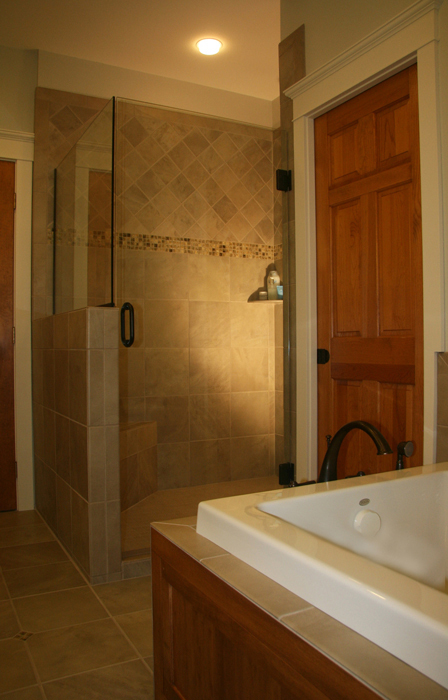 Once you have selected a remodeler, it’s time to start looking forward to your project. A conscientious contractor will want not only a complete set of blueprints, but also a sense of what homeowners want out of a project and what they want to spend. While an experienced contractor may be able to give you a rough estimate, most really can’t give an exact number until you work out plans and specifications. Each contractor who works on your property should have a valid license. Make sure you ask to see it and inspect it closely. Each state has its own licensing agency and licenses expire yearly, so make sure you check to see if their license is valid. The license doesn’t insure quality but it is the first step in investigating your contractor. It is your right as a homeowner to demand that your contractor carry valid insurance, which covers you in case of any accidents on the job site. Some contractors may threaten not to work on your property if you demand insurance, but do you want someone like that working on your property? It is the contractor’s responsibility to provide a contract that details every step of the project. The contract should contain their complete contact information and detail the work which will be completed on your property such as: specific materials and products to be use, sub contractors (if any) who will be coming onto the property, a start date and projected completion date and a detailed payment schedule. Insisting on a clear contract isn’t about mistrust, it’s about insuring a successful renovation. Finally, remember that as soon as a change is made or a problem uncovered, the price just increased and the project just got longer. It isn’t a bad idea to put some terms on your contract (e.g., who will obtain all proper permits, the times the property is open to the workers and that the contractor agrees to clean up at the end of each workday). Payment schedules are usually determined by the size and length of a job. A schedule usually starts with a down payment at contract signing, three (3) payments of 20-25% evenly spaced over the duration of the project and a check for the final 5-10% when you feel every item on the punch list has been completed. Most importantly, BE CAREFUL WHAT YOU SIGN. A good contract should be typed, legible and easy to read. There should be no fine print. And remember-always trusts your instincts.